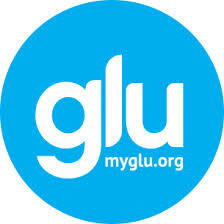 With the kickoff of Diabetes Month, November, a new social media site just for people with type 1 diabetes, loved ones and caregivers, goes online – myglu.org. Actually, it’s been online for some months with a handful of people testing it, but tomorrow it officially opens its doors. I also have a post on Glu about“Flourishing with Diabetes” which you won’t want to miss. There’s something also revolutionary about Glu. Not only will it offer type 1-specific learning and information, and the typical sharing and support of members, but you will also be invited to respond to Daily Questions and short weekly surveys. The information collected goes to Glu’s MotherShip, the T1D (type 1 diabetes) Exchange. The T1D Exchange, will then disseminate the information to its partners: diabetes clinical, research, pharma, educational and outreach organizations, all who are working on better therapies and research toward a cure. So now, thousands of us who live with type 1 diabetes, have a direct route to get vital and valuable information to the organizations that need it; those who are working to improve our quality of life. In fact, when you go to my post it will ask you two questions, as part of the information gathering. To learn more about Glu and the T1D Exchange, check out my article on theHuffington Post. If you have type 1 yourself, or you know someone who does, let them know Glu is open for caring, for sharing, and beginning to change lives.